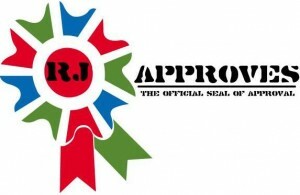 RE-REGISTER SRM vCENTER SERVER EXTENSION | RJ Approves This Message! Long story short – our vcenter server crapped out for some reason. I won’t go into those details because it seemed like a trivial issue however this vcenter was also associated with the SRM server. After the vcenter server was back up – the fix was a clean re-install 🙂 – the SRM service went offline and failed to come back up. The event logs were not specific but the fix for that was running through the ODBC connection setup again. This certainly seems like a known bug to me. However I was confused about how to re-register the vCenter server extension for SRM. I tried to reinstall the extension but it would not show in the plugins drop down. Typically, if the vcenter server is still the same server – and in this case it was since I reinstalled it – the SRM plugin should show up in the drop down however it did not. The fix was easier than ever. When the SRM installation is complete, ensure that vCenter Server is registered in the extension.xml configuration file. Browse to the SRM configuration folder at C:\Program Files\VMware\VMware Site Recovery Manager\config. Hope this helps. The vmware KB article is here.